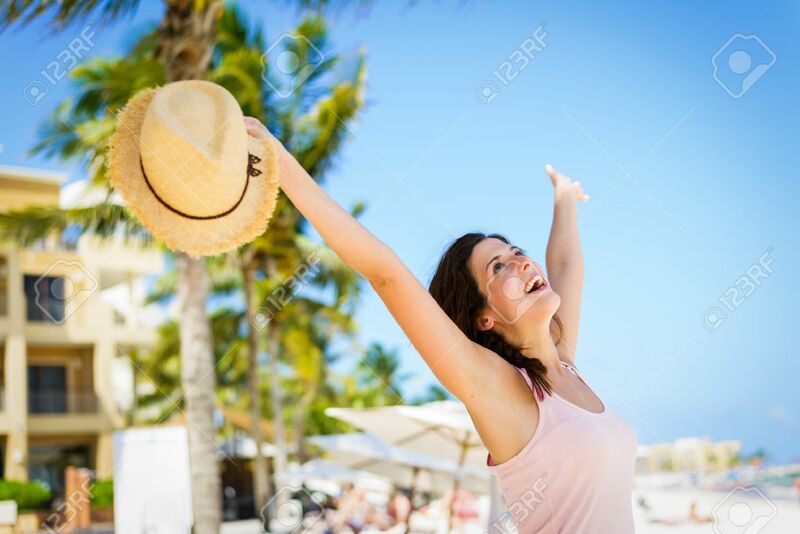 Relaxed Cheerful Woman Enjoying Tropical Caribbean Vacation At.. Stock Photo, Picture And Royalty Free Image. Image 36184448. Stock Photo - Relaxed cheerful woman enjoying tropical caribbean vacation at the beach in Playa del Carmen, Riviera Maya, Mexico. Relaxed cheerful woman enjoying tropical caribbean vacation at the beach in Playa del Carmen, Riviera Maya, Mexico.